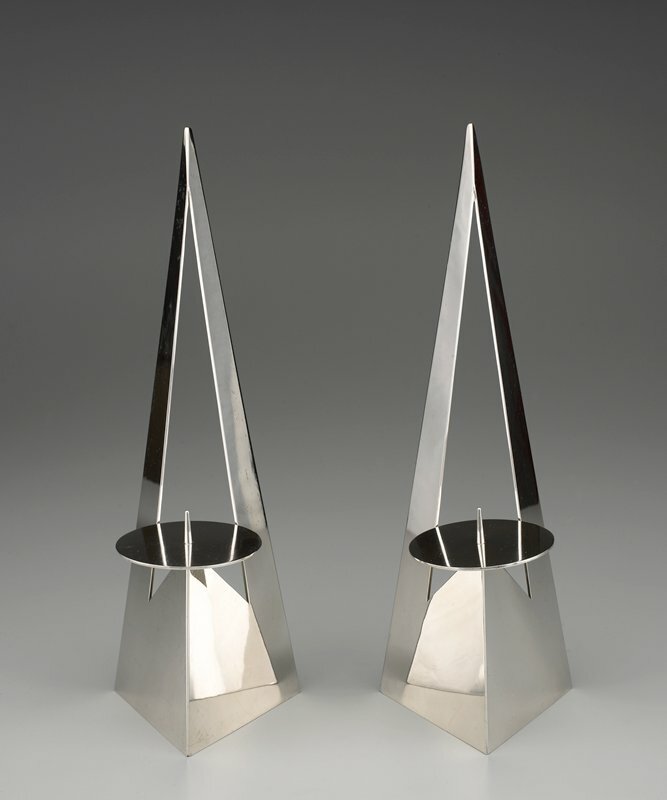 The simple, bold forms of these candlesticks are characteristic of the modern design aesthetic Zabari learned while studying under Ludwig Wolpert (1900–1981) at Bezalel Academy of Art and Design in Jerusalem. Wolpert is considered the father of the modern movement in Judaica. Zabari later joined Wolpert in New York in the 1960s to teach at the Tobe Pascher Workshop and School of the Jewish Museum. Through Wolpert's influence this distinctly modern style has become predominant among Judaica artists.